All units will be sold "as is, where is" in their complete entirety. All items must be removed within 24 hours. Buyer will pay a $25.00 cleaning deposit at time of sale. Such deposit will be refunded upon inspection of cleaned unit. 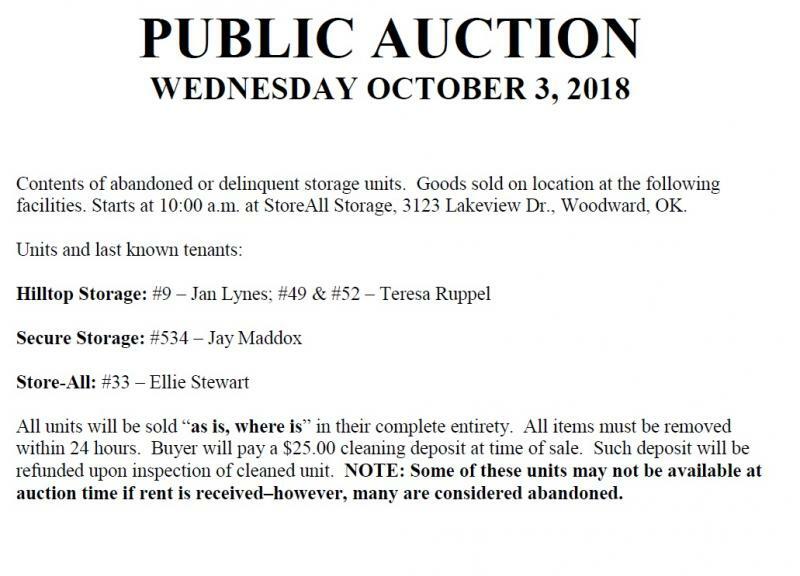 NOTE: Some of these units may not be available at auction time if rent is received - however, many are considered abandoned. Sign up for our Auction E-mail list. When we have an upcoming auction we will send you an e-mail informing you of the time and location of auction.